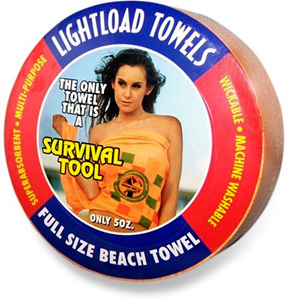 The World's Only Towels that are Survival Tools! Soft Against the Skin so great for gyms and spas! Much More Absorbent than Cotton and Microfiber! 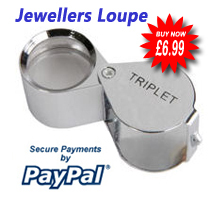 Wickable Fabric keeps you from freezing in cold activities! Weighs only 114 grams! Excellent Space Saver! These towels (and the smaller version) are the best. I'm constantly going back and forth to the gym and don't have a locker, but this towel packs up so small that I can take all my workout gear in my regular messenger bag along with books, water, laptop, and whatever else I need to carry that day. I don't have to take a special gym bag as I would with a cotton towel. They're much cheaper than my other pack towels, too. They are of course much larger after you take them out of the packaging, but they still fold up small and add no weight to my bag. They're also very absorbent, and I don't have to worry about chlorine ruining a more expensive towel. For backpacking, kayaking, and other adventures, I toss one of these unopened into my gear, just in case. I bought two different sizes of these to take to a folk festival where there were no towels provided in the accommodation, I don't do camping! The towels are packed perfectly into tiny packages, so for someone like me who is never knowingly underpacked, that was just what I needed. They take a little time and work to expand for the first use, I didn't want to soak them, just use them as they came out of the packing to soak up the moisture and tease them out to their full size, but well worth the effort. The larger ones wrapped around me and even though lightweight were perfectly adequate following my shower. However even though the smaller ones were not quite large enough to go round my head to dry my hair (that is partly why I gave them only 4 stars), they were perfect as handtowels. Thst is easily solved I'll just buy another pack of the bigger ones next time!!!! They washed up perfectly on my return, I will take them with me again next time, and buy another pack of the bigger towels for my hair.